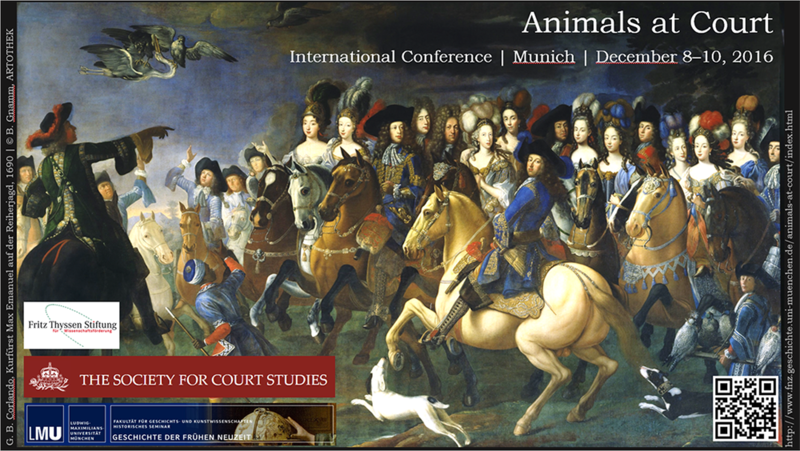 Whoever does research on courts encounters, if only peripherally, animals: from horses to hounds, falcons to fleas. Animals at court included animals for food production and consumption; for transport; for the hunt; for equestrian sports; for defence; for companionship; or simply for exhibition as exotica. 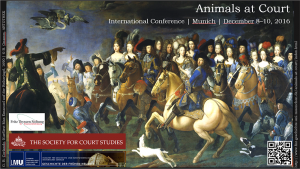 Animals had symbolic functions too, as indicators of power and rank for princes and courtiers (in crests and coats of arms, for example the double-headed eagle of Austria), and as representations of life at court (as in La Fontaine’s phrase Peuple cameleon, people singe du maitre). A growing curiosity about the history of animals invites further study and an interdisciplinary approach to animals at court. See the Preliminary program (PDF).